Focusing provides an effective way of listening to the innate wisdom of the body, while art therapy harnesses and activates creative intelligence. Focusing-Oriented Art Therapy: Accessing the Body’s Wisdom and Creative Intelligence is a ground-breaking book integrating renowned psychologist Eugene Gendlin’s Focusing with art therapy. This new, Focusing-based approach to art therapy helps clients to befriend their inner experience, access healing imagery from the body’s felt sense to express in art and carry forward implicit steps that lead toward change. Written for readers to be able to learn the application of this innovative approach, the book provides in-depth examples and descriptions of how to adapt Focusing-Oriented Art Therapy to a wide variety of clinical populations including individuals and groups with severe psychiatric illness, trauma, PTSD, anxiety, depression, and more, as well as applications to private practice, illness and wellness, spirituality, and self-care. Integrating theory, clinical practice, and numerous guided exercises, this accessible book will enhance clinical sensitivity and skill, while adding resources for bringing creativity into practice. It will be of interest to art therapists, Focusing therapists, psychologists, counsellors and social workers, as well as trainers and students. I have included a pdf download of the chapters included in the book. You can also view the contents and a few sample chapters of the book on Amazon here. Focusing-Oriented Art Therapy explains Eugene Gendlin’s 6-step Focusing method used in conjunction with art therapy. The book is organised into four main parts. Part I: Focusing and Art Therapy. This section provides an historical overview of Gendlin’s method plus some background to the evolution of Art Therapy. Part II: Focusing-Oriented Art Therapy. Rappaport provides the foundation of how the two methods can be used together. Part III: Clinical Approaches. 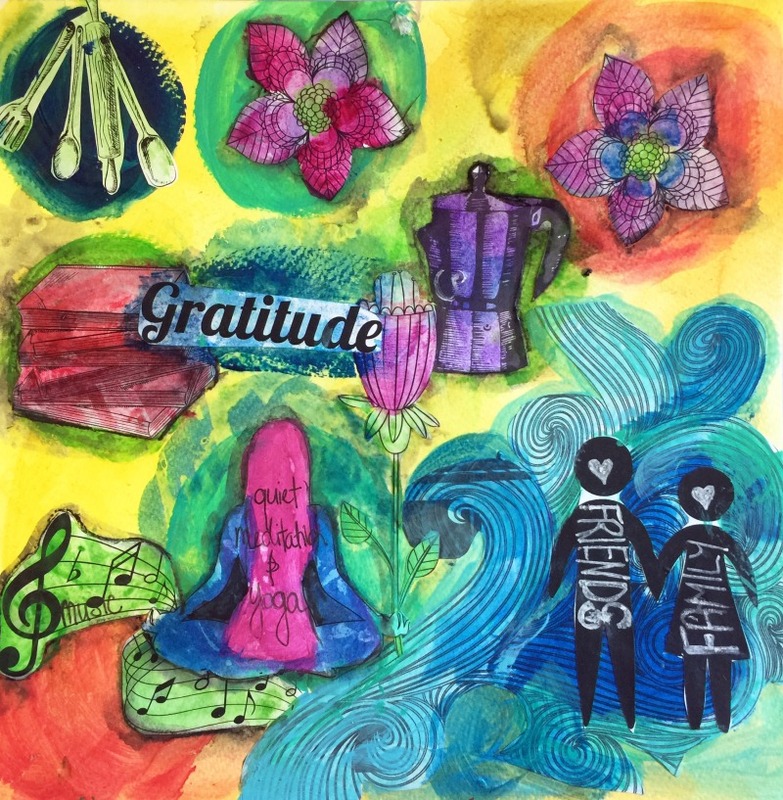 The book covers a number of specific applications for Focusing-Orientated Art Therapy, including group work, reducing stress, emotional healing, health, trauma, and spiritual development. Part IV: Guided Exercises. The exercises help the reader synthesize the application of the focusing-orientated art therapy approach. This provides the reader with an extra layer of confidence when translating the theory into practical application. I found the layout of the book well organised. Before reading the book I was able to use the contents to briefly review some of the sections I was interested in straight away. I generally like books that emphasise practical examples and help in learning new concepts. The layout of the book was helpful in providing both examples and a clear path to understanding this new concept of focusing-orientated art therapy. The book used clear tables and succinct summary sections to help highlight and clarify the most important concepts. This is useful to the reader who can sometimes feel overwhelmed by historical and theoretical perspectives. Over 50 art therapy examples are included in the book which helps solidify some of the concepts in the book. The book also contains over 40 suggested art therapy exercises. I’ve done one of the art therapy exercises and included it below with a final art image. Chapter one introduced the term ‘felt sense’. Initially, the term felt similar to reading something in a self-help or pseudo-psychology book. Often those books are loose around details of what the terms mean and it seems they are expecting the reader to accept it as something mysterious. To me, the term felt sense seemed a vague statement that alluded to the mysterious. Exploring the ‘mysterious’ is not to be considered a negative aspect of any therapy, however, for clients who may be in crisis, it may be difficult to embrace a therapy that feels mysterious. This criticism may be more about the terminology thought, and not specifically the book. 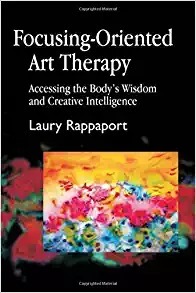 Rappaport included a considerable amount of content providing detailed examples of what felt sense is, how to access felt sense and details on the properties of a felt sense. Given the above reservations about terminology, it may be difficult to introduce some of the concepts to clients. Therefore it would be helpful to read an overview from the author about how to tackle resistance from clients to this therapy or the terminology used. We have included an example exercise from the book. This exercise is featured in chapter 17, page 219 – Guided Exercises. The general task is included below, however the book provides detailed instructions. The task details are taken from the Focusing-Oriented Art Therapy . 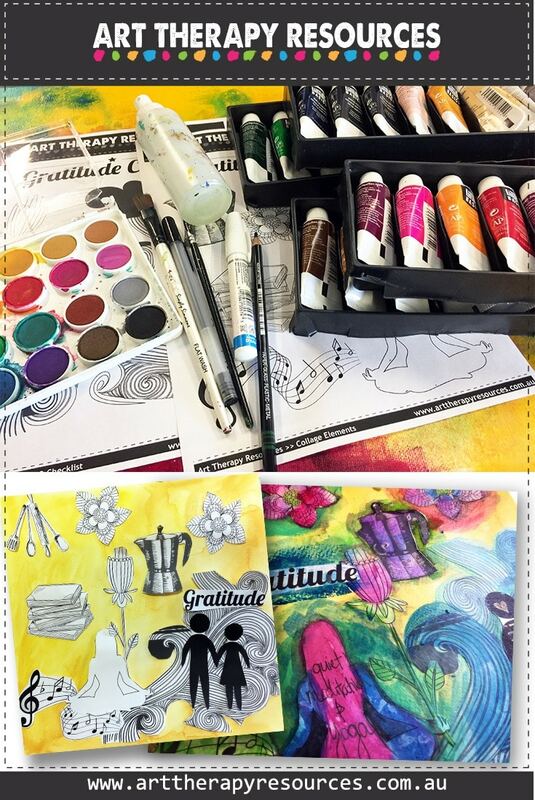 The supplies list and artwork image are provided by Art Therapy Resources. 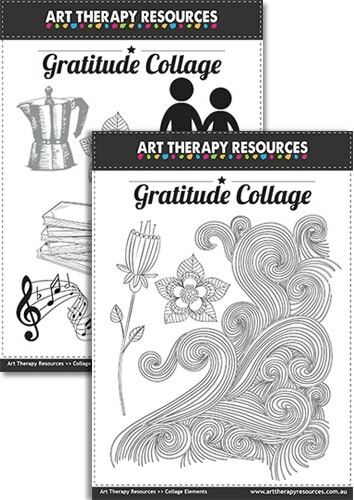 The visual starter prompts are created by Art Therapy Resources. TASK: Create a collage of pictures/words I feel drawn to. 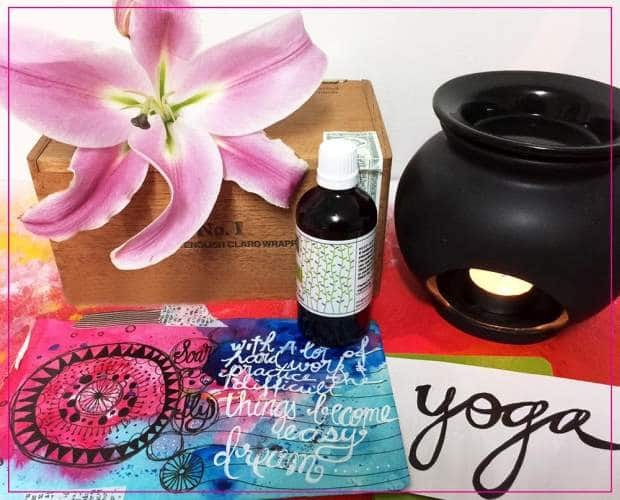 OUTCOME: This art therapy exercise focused on creating a collage artwork, however, this can also be applied to photography by creating a vignette of items you feel drawn to. Purchase: If this book sounds interesting to you, it can be purchased from Amazon. You can also view the contents pages and a few of the introductory chapters in the sample.